It’s March, and Leeds United’s season is still well and truly alive. No, you haven’t read that wrong. 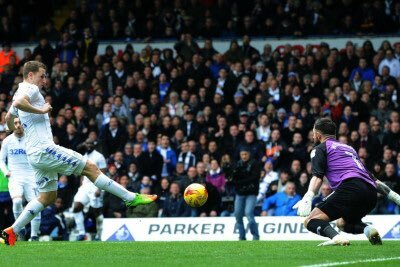 Usually the clocks going forward is just a blessed relief because we are one hour closer to the end of the season, now we are simply enjoying every minute of this 2016/17 campaign, but we are still rather keen to get to the climax and find out if Leeds United can do it. February was a mixed month for the lads, with three wins, two defeats and a draw from our six games, but at the end of it we are still well in contention, and a win from the first game in March – 3-1 away at Birmingham last Friday night – has hopefully set us up for another good month. 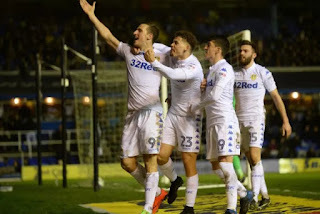 Undoubtedly now we are facing the business end of the season, and those waiting for the wheels to come off at Elland Road may have to concede defeat and accept that this team is the real deal. I have had my doubts myself, I must admit, and I’m sure most Leeds fans would confess that they were waiting for the traditional woeful Christmas to put paid to any flimsy promotion hopes, but if anything that was our strongest period yet. The odd defeat has never been far away, but it is clear that there is a significant backbone to this side, and even without looking at individuals, Garry Monk has put together a team that works for each other, is supremely organised and has an incredible spirit. No game ever seems lost and our ability to dig in and win points without playing spectacularly well has been very evident in recent weeks and is a very useful trait to have. The benefit of having an organised team with a strong backline can’t be underestimated, and that’s what a largely unchanged defence gives you, and with Pontus Jansson and Kyle Bartley, with goalkeeper Rob Green behind them, we are always fighting to stay in games. When the attack is mis-firing and not quite getting its game together, as has been evident in many games recently, at least a strong defence keeps you in with a fighting chance. 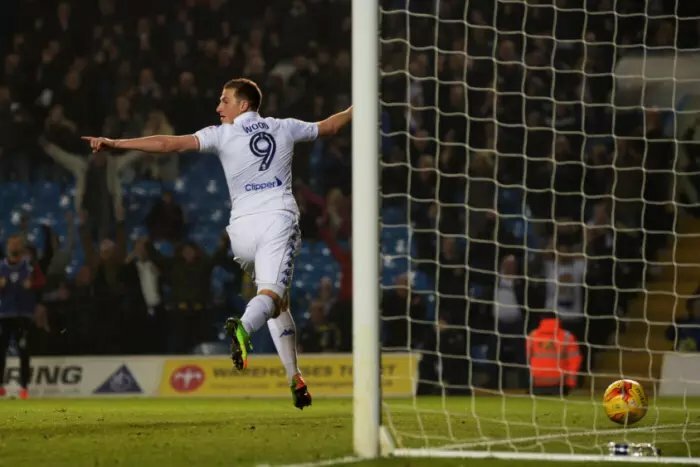 Then it just needs someone to provide Chris Wood with a sniff of a chance and hey presto, Leeds have bagged the points again. As a consequence of Leeds staying in the top six, we have seen some very busy matchdays at the Old Peacock, and long may that continue. The Yorkshire derby with Sheffield Wednesday brought another 30,000–plus crowd and two more Saturday afternoon home games in March should see plenty more pints being passed over the bar to you thirsty lot. The lunchtime Kick-Off v The Owls put paid to any plans to have our resident band The Snapp playing in the beer garden, but a 3pm start against Queen’s Park Rangers on March 11th and a massive game against Brighton & Hove Albion the following Saturday (5.30pm Kick-Off), should both be preceded by plenty of stomping tunes from the band, weather permitting. Undoubtedly, with a successful Leeds United we see a knock-on effect at the Old Peacock on non-matchdays, and there is definitely more of a buzz about the area. People call in for a pint after they have been to buy tickets or stop off at the superstore, and not only that, they are happy to talk about Leeds United again and not just sit disconsolately staring into a pint as they might have done a year ago, or indeed at any time over the last few years. Of course the last time Leeds United were in this position, chasing promotion to the top division back in 1989/90, the landscape was very different. In those days people would call in for a pint after watching the boys training on the Fullerton Park pitches at Elland Road, and on the odd occasion they might even catch a drink with the players themselves. Messrs Batty, Speed and a certain Vinnie Jones were all regulars after training and our old pool table was the scene of many a competitive scrap on an afternoon. Now sadly, the players are cocooned away at Thorp Arch, and passing fans are unlikely to catch a glimpse of their heroes, but it is fantastic to still see that fans see the Peacock as an extension of the ground and a landmark they have to call in and make use off as they are passing. No Leeds fan will need reminding that the 1989/90 season ended with a triumphant promotion and was followed two years later by that epic Division One title win. Believe it or not but the 1991/92 championship triumph was nearly 25 years ago, with the anniversary of that dramatic 3-2 win at Bramall Lane coming up at the end of April. It’s enough to question what the hell we have all been doing with our lives, but 25 years later it is certainly something worth celebrating. Leeds United are putting on a celebration dinner at the Elland Road Pavilion and we look forward to seeing a few dicky-bows on display that evening, as plenty of people can’t resist stopping off for a pint at the Peacock before these events. And we were delighted to hear that the people at The City Talking were behind a new film, DVD and book to commemorate the 25th anniversary in the form of ‘Do You Want To Win?’ which was announced last week. Daniel Chapman is writing the book, and as one of the guys behind The Square Ball – who are all Peacock regulars on matchdays – we are confident it is going to be fantastic and worth supporting. The film has a premiere event at the Everyman Cinema in the Trinity Centre next month, so check that out as well and you might just see some famous faces. In the meantime we are looking forward to the two massive home games coming up this month, and by the end of March we should have a much better idea how Garry Monk’s men are set for the play-offs. Certainly the tickets are flying out of the ticket offices at Elland Road, so if you are passing don’t forget to pop in and say hello, and check out our food menus too for a midweek bite to eat. See you soon.